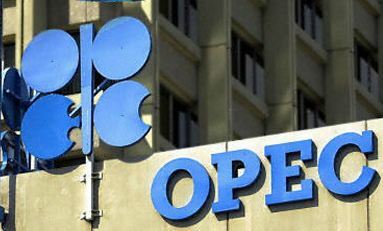 OPEC crude oil production output falls in MarchThe Organization of the Petroleum Exporting Countries (OPEC) decreased it’s crude oil production from 30.11 barrels per day in February 2014 to 29.65 million b/d in March, according to Platts. This number of barrels per day is the lowest OPEC has produced since mid-2011, Platts reported The total drop was 550,000 b/d and three countries – Iraq, Saudi Arabia and Libya – account for 440,000 barrels of the decrease. Some of the decline has been attributed to insurgent attacks in Iraq, which closed one of the country’s important pipelines, according to Platts. Prior to March, Iraq’s crude oil output had increased because of improvements in exporting capabilities. However, difficulties such as insurgent attacks will likely make the country’s output inconsistent. Saudi Arabia has a reduced output because of maintenance. Saudi output in February was 9.7 million b/d and was 9.6 million b/d in March, Platts reported. The output in March was the lowest Saudi Arabia has contributed since June 2013. Libyan crude oil output came to a halt in 2011, but has slowly recovered. Current output has been affected by political unrest, strikes, protests and blocked ports. Hur vill du kommentera uttalandet från oljeanalytikern Thina Saltvedt? Planners in the strategic & special services bureaus of Europe, Asia and The Americas have actually made statistical studies weighing percentage value of serious impacts to motor transport by natural (solar flare, earthquake, tsunami, meteor strike) causes as well as built in geopolitical events especially in the Middle East. The human and economic toll in even a limited period of truck delivery interruption is so great , it seems the lack of railway enhancement in western nations’ transport policy is more than a simple oversight. Leadership in America for instance, has ignored glaring problems in electric grid reliability and water delivery engineering to the point of constant patching to stave off crisis. Oil supply as ably reported in this page must be understood as a component in a symbiotic mix of transport, water (food security) and energy mix adjustments for Climate concerns and geopolitical threats. Technical papers on energy particularly oil would be more helpful if there could be more collaboration with authorities in strategic planning and transport mode mix determination. Without intervention it appears likely Middle East war consequences will alter ways and means of transport for a decade or longer, yet we do not see any sort of acknowledgement of these impending events in the technical press or academia. Ladies & gentlemen, the constant stream of threats from oil producing countries surrounding Israel are unabated and have made pre-emptive action (by one side or the other, little matter who takes the first swing) an inevitability. Road transport in western countries will simply never be the same.